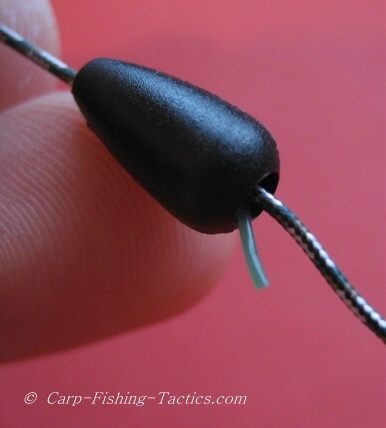 The best silt rig is one that doesn't tangle, or cause the bait to sit badly on the bottom. Yet, it should still present a bait well, and have good hooking potential. Here, I illustrate the silt fishing rig that I have used successfully for many years. The lead has the freedom to plunge into the silt bed as far as possible without affecting how the hooklink rests on the top of the silt. If the lead plunges into the silt too far it may affect the sensitivity of bite indication, so to limit the depth try using a lighter lead if possible. The shape of the lead can also affect how far it dives into the silty bottom. I have found that a heavy, distance lead, with its narrow shape, will plunge deeper into silt. Whereas, using a flat pear or a gripper-shaped lead will decrease the depth at which the lead will plunge down. A big, plastic ring is added to the end of the stiff boom hooklink section of the rig. This stops the hook link from being dragged down into the silt along with the lead. 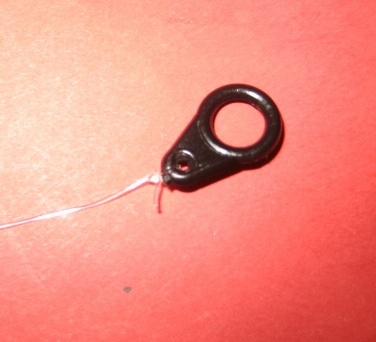 A black, plastic bead is added to the leadcore just above the hooklink and rig. 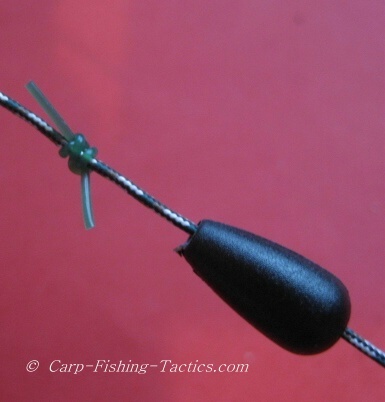 This protects the big ring and helps it to easily glide over the leadcore leader. 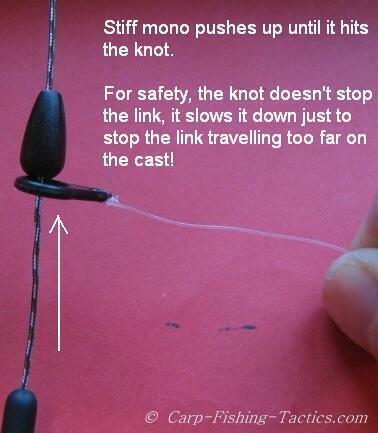 If left alone like in the photo above, the bead and hooklink would travel too far up the main line on each cast, so to stop this, a knot is tied about 12 inches above the lead using power gum. 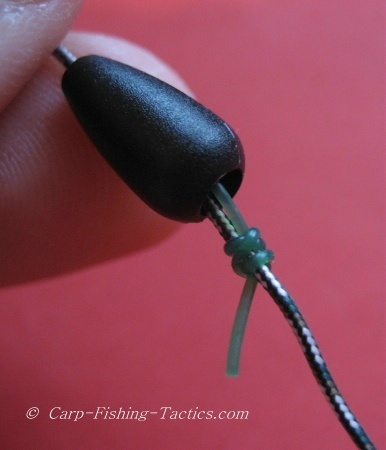 The actual length to the power gum knot can be adjusted according to how deep the silt is out in your swim. 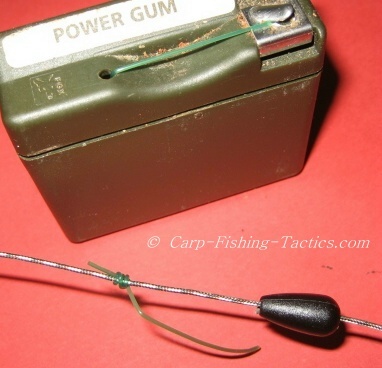 Using power gum, add a fairly tight knot to the leadcore leader. The knot should be tied tight enough so it stops the bead and plastic ring but they can still both slide over the knot if pulled under slight pressure. Look at the photos below for detailed illustration. This makes sure the fishing rig is safe should the main line ever break during a fight. The photo above shows exactly how the best silt fishing rig works when the lead plunges into the siltbed. 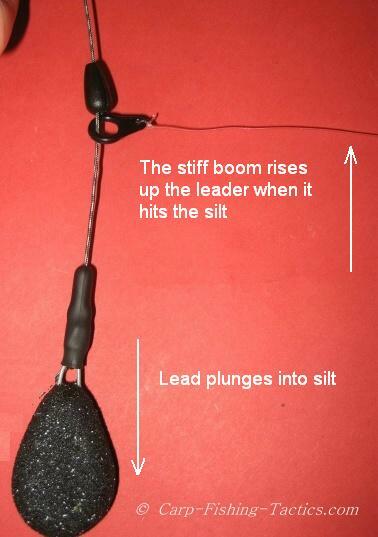 The lead weight dives into the silt, but as the hook link hits the bottom, the pressure from the silt allows it to travel upwards so it remains nicely flat on the top of the silt. This means the hook link and bait never gets pulled down into the silt with the lead, and will always give a great presentation on any silt bed or soft lake bottom. 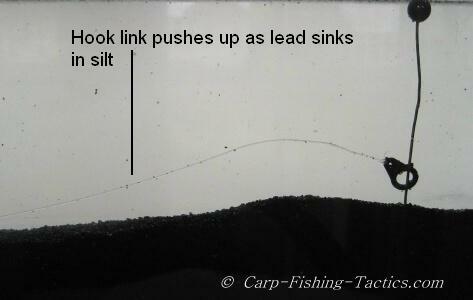 The picture above shows the best hook bait presentation on soft silt. The ultimate silt bed fishing rig has worked by allowing the lead to dive into the silt but stopped the bait from being pull down with it.